Add a stylish alternative to your sword cane collection with our handsome rattan sword cane. This stylish cane features a 17.5” stainless steel spear point blade with a mirror-polished finish. The shaft and handle are carved of genuine rattan wood for a sleek, sophisticated look and feel. The hook-shaped handle offers a superb grip. 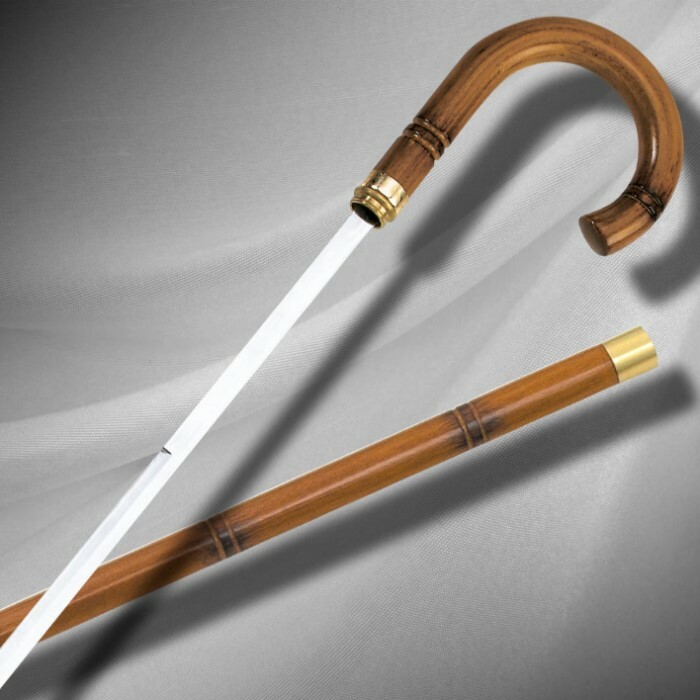 Brilliant polished brass fittings add a touch of elegance to the rattan sword cane. It measures 35” in overall length. Little flimsy. Shorter blade than picture shows but it is accurate in description. I weigh 200+ and after only a couple of weeks the blade and cane are bending. Sword blade is not sharp at all. I wouldn't buy it again but have to admit I got what I paid for. Not nearly as impressive in person. Very lightweight construction, flimsy and wavy blade, takes so long to unscrew the blade you better have a plan B. Disappointed. The blade is short and the the metal used is easily bendable. Its a neat conversation piece and a decent walking cane, I suppose. I am disappointed to say the least first I want to say I bought this from budk but they were using the same picture and price plus I know they work with true swords so it stands to reason this is the same product sold here the problem its mostly the handle and sword part the shaft is fine but it is shorter then the picture it has 5 bands mine has 4 but the handle and sword part is the real problem it looks like it was taken from a different model the varnishing is different and the blade is not only puny and edgeless but completely different to the picture . If zero stars were available, then that is what I would give. Very cheap to buy, and very cheap and nastily made. The so called 'sword' part is no such thing, and one is better off with just a cane for self defense. There is no way one would have time to unscrew this thing in time if needed. Like I said in the title, it's absolute rubbish. 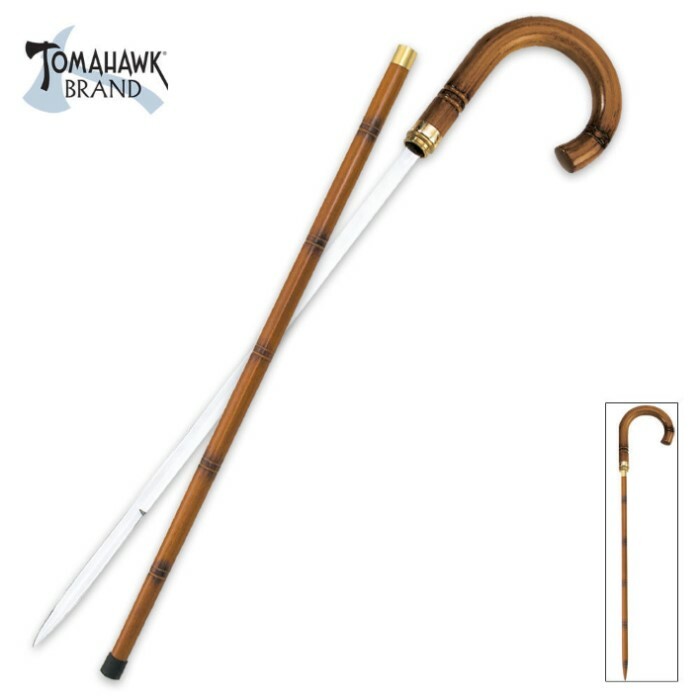 With a bad arthritic knee this is very sturdy, good weapon in the cane alone, the blade is enough for thrusting, and the crooked handle is great, if you don't believe me get one without a curved handle, you will spend all of your time picking it up off the floor. I weigh 250 and use for walking, very sturdy. For the price it a good value so far I have had no problems from the product. Very good looking cane. A ball of wool inserted in the shaft stopped the blade from rattling which is common in the less expensive sword canes. A good buy.